Armenia Tourism Blog: Have you ever wanted to feel like a bird? Have you ever wanted to feel like a bird? Then you must visit Armenia and fly on the paraglide. 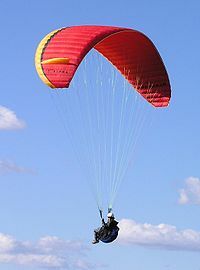 So what is a paragliding flight with an instructor? Paragliding is the easiest and most affordable way to soar above the earth, to see the beauty of the Armenian mountains and get your adrenaline dose. And if you decide to take such a step, then you do not need to have any skills at all or be able to control the paraglide. All you need is determination, a good mood and a confident smile so that the most beautiful moments of the flight can be captured on the video. Before you fly, the instructor will hold a short briefing during which you will learn what to do and what not to do. Everything is very simple and your main duty is to enjoy the flight. 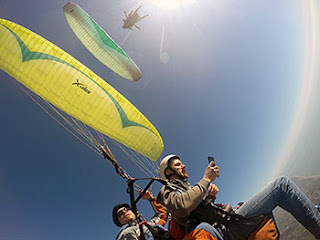 After take-off, using the hot ascending air currents, the paraglide will gain altitude and soon 2000 meters of height, a view of the mountain relief from a bird's eye will be under you and you will smell the fresh air. Yes, it is the smell, because the air at the top takes on a completely different "taste." You will be in the air for an average of 20 minutes, your flight will be shot on the camera, your instructor will give you some new emotions and most importantly - you will receive your dose of adrenaline. Flights can take place in the vastness of Mount Atis, near the azure-blue Lake Sevan and in many other places, depending on the season and weather. This unique opportunity is provided to you by the Paragliding Club SKYCLUB in Armenia! It is quite safe, memorable. And so it is worth doing! See Armenia your own way!